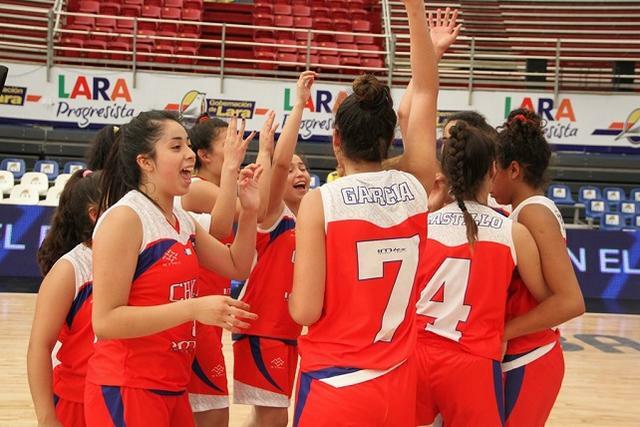 Hosts Venezuela, Chile, Brazil and Argentina won their respective matches in the day two of the South American under-15 Championship for women. Chile beat Equator 63 – 60 while Brazil beat Columbia 61 – 41 in the Group A encounter. In the group B matches, Argentina beat Peru 52 – 29 while hosts Venezuela beat Paraguay 67 – 43. 2014 South American under-15 Championship for women is underway at Venezuelan city of Barquisimeto. Eight South American countries are participating in the championship. Brazil, Colombia, Chile and Ecuador are in Group A while Group B consists of Venezuela, Paraguay, Argentina and Peru. Top two team from each group will advance to the semifinal of the championship. Top three teams from this championship will qualify for the 2015 FIBA Americas U16 Championship for Women.